Kigali, Rwanda, 12th December 2015 – The 4th “High Level Dialogue on Democracy, Human Rights and Governance: Trends, Challenges and Prospects” under the theme “Women’s Equal Participation and Leadership in Political Parties in Africa” officially opened yesterday in Kigali, by Hon. Louise Mushikiwabo, Rwanda Minister of Foreign Affairs and Cooperation. 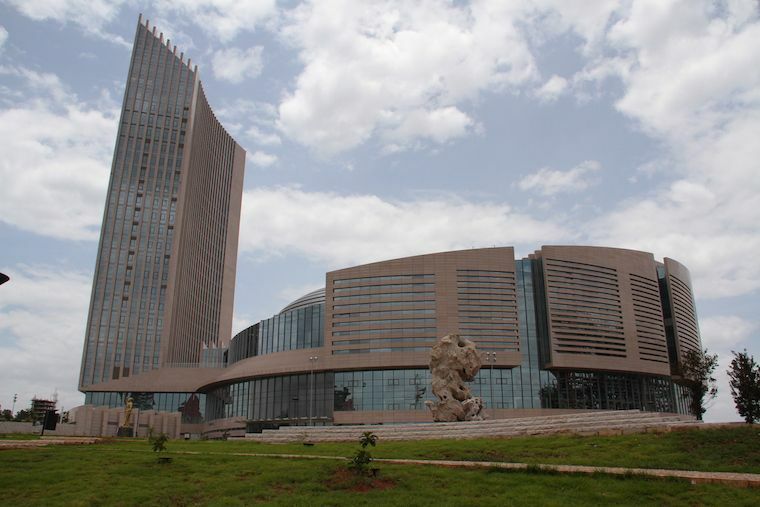 `The High Level Dialogue, which is an annual convening of the African Union Commission, is designed to provide a frank, open and inclusive space for African Governance Architecture Platform Members, Member States and non-state actors to reflect and account on the impact of their work towards consolidating democracy and strengthening good governance in Africa. The 2015 Dialogue is envisaged as an opportunity to share comparable lessons and experiences on ensuring women’s equal participation and leadership in political parties in Africa at all levels. In his own remarks at the opening, the Chair of the AU Permanent Representative Committee, H.E. Amb. Albert Chimbindi noted that Aspiration 6 of the AU Agenda 2063 urges African Heads of State and Government to ensure that women occupy 50% of elected public offices and half of the managerial positions in both the public and private sector by 2063. He added that the Protocol to the African Charter on Human and Peoples’ Rights on the Rights of Women in Africa (Maputo Protocol) equally guarantees the right of women to participate in political and decision-making processes. Nonetheless, he argued that the continent still grapples with challenges such as high illiteracy levels, age-old stereotypes about what women can or cannot do, constraints of poverty, lack of time due to disproportionate family tasks and agricultural activities which all contribute to excluding and/or discouraging women from taking on active roles in political parties or in political life in general. In her own remarks, the African Union Commissioner for Political Affairs, H.E Dr. Aisha Laraba Abdullahi applauded the leadership of Rwanda as a shining example for women participation in Africa and indeed the world. She stated that the 2015 Dialogue seeks to achieve three broad goals: (i) renewed commitment of Member States to ratify, domesticate and implement AU Shared Values Instruments that promote gender equality, particularly the Maputo Protocol; (ii) enhanced synergy, cooperation and collaboration among AGA Platform Members in promoting gender equality and leadership of women in political parties; and (iii) critically study and understand Rwanda’s success story on women empowerment and participation with the aim of replicating the lessons in other AU Member States in regard to participation of women in political parties. While declaring the Dialogue open, H.E.Paul Kagame, President of the Republic of Rwanda represented by H.E. Louise Mushikiwabo, Rwanda Minister of Foreign Affairs and Cooperation emphasized the role of African political parties towards promotion and enhancement of women in decision-making. She expressed the gratitude of the Government and people of the Republic of Rwanda to the African Union Commission for having chosen Rwanda to host the current Dialogue and recognized this as a sign of recognition of the work done so far by her Government on women empowerment issues. Before declaring the Dialogue officially opened, H.E. Louise Mushikiwabo renewed the commitment of Rwanda towards achieving the three main expected goals of the Dialogue. The Dialogue was preceded by a youth pre-forum which focused on “youth participation and leadership in Political Parties with special focus on young women”. Participants at the youth pre-forum were drawn from more than 40 Member states of the African Union also took part in a one skill building session dedicated to improving the capacities of African youth for civic engagement, democratic leadership and development on the continent. The two-day Dialogue is set to conclude on Tuesday 8th December 2015. The dialogue has been convened by the African Union Commission under the auspices of the African Governance Architecture and the Government of Rwanda through the Rwandan Governance Board. Other partners include the United Nations Development Programme, GIZ, International IDEA, State of Union (SOTU), National Democratic Institute, Institute for Security Studies, INFONET, YouthHubAfrica amongst others.